Are you a first-time shooter looking to take your first shot with a trained professional, or a shooting expert who wants to take their skills to the next level? If you live near Pittsburgh, you'll find the expert training you need at Keystone Shooting Center. We provide private firearms instruction for both individuals and groups at our indoor Mars, PA, facility. Are You Looking For The Best One On One Firearms Training In Pittsburgh? You're At The Right Place. Shooting center members with a Keystone Blue Membership receive 15 percent off private instruction, and Keystone VIP Premium and Corporate members receive 25 percent off. Whether you're entirely new to shooting or you're looking to develop your existing skills, anyone can learn to improve their accuracy with one-on-one training with one of our expert instructors. You'll hone your skills in one of our 24 climate-controlled lanes filtered for your utmost comfort and safety. We tailor each course to your unique goals and abilities for a personalized, one-of-a-kind experience. Feel free to bring your own firearm to your training course. If you don't already own a gun, we offer more than 100 different rentals you can choose from. We can help you find a type that best meets your needs. As well as one-on-one firearms training courses, we offer private instruction for small groups. Gather your friends, colleagues or family members for an hour at the range receiving training from our expert staff. These classes allow you to train in a group setting with people you know and are comfortable with. Our private group training is ideal for small corporate groups, family get-togethers and similar events. No matter what the varying experience levels of the people in your group may be, we'll tailor our instruction to help everyone feel safe, comfortable and confident in their abilities. Why Take a One-on-One Firearms Training Course at Keystone Shooting Center? Personalized Scheduling: Maybe you've wanted to go to one of our firearms training courses, but your schedule doesn't allow you to take the class of your choosing. Individual sessions enable us to tailor your training schedule to your availability during our business hours. You'll receive the same training from expert instructors who will help you perfect your aim and familiarize yourself with your firearm. Tailored Instruction: Some first-time shooters might feel intimidated in a class setting, and some experts might want training tailored to their advanced experience level. We understand these unique needs. You'll enjoy instruction adapted to your comfort level and expertise. We'll help you find ways to improve, no matter how familiar you might be with your gun. Individual Focus: In one-on-one firearms training, our focus is entirely on helping only you develop your skills. An expert instructor will be watching and guiding you individually every step of the way. Safety: At Keystone Shooting Center, our priority is to keep you safe. Even if you or your group members have never shot a gun before, you can relax knowing you're in good hands. Before you shoot, we'll help you understand proper safety procedures and techniques. Preparation: Whether you want to practice with a rifle for your next hunting expedition or need to develop your defensive handgun skills, private training tailored to your needs will help you prepare for your particular situation. Ready to improve your skills on the shooting range? Keystone Shooting Center is here to help. 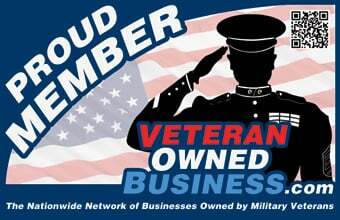 We're a veteran-owned and -operated indoor shooting center outside of Pittsburgh that serves each of our customers with a service-oriented attitude. Our experts will help you be the best you can be on the shooting range with a wide range of classes and one-on-one training to meet your needs. You'll improve your accuracy, ensure your safety and learn critical skills - all while having fun. Taking a private firearms training course is a one-of-a-kind experience you'll remember for a lifetime. Use the form below to inquire on booking your next one on one firearms training. Choose a preferred date along with an alternate date for your private gun training. For more information about our indoor range and training services, contact us online or by phone at (412) 357-8000.